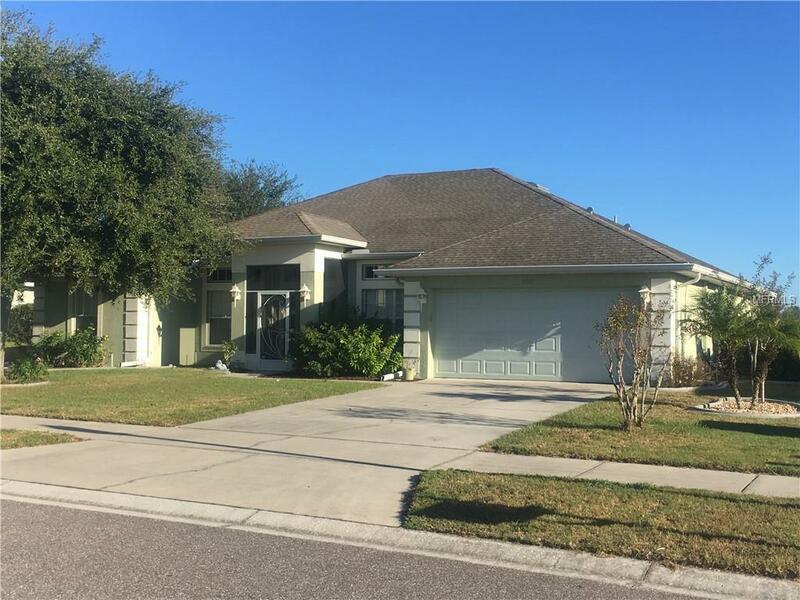 Here is you chance to own this clean and well kept 4 bedroom/2 bath home centrally located for easy to commute to Tampa, Orlando and Ocala areas. This home sits on the 3rd Fairway of the Sherman Hills golf course with a nice view down the Fairway. You'll love the open floor plan along with huge oversized covered lanai area with additional open patio area for all your entertaining and back yard BBQ's. This home offers a large master suite and bath with garden tub, separate shower and double vanity. Split floor plan for privacy, formal dining area, separate breakfast area and extra room for den/office or use as a formal sitting area. Bright open and airy kitchen with pantry and all appliances. Washer and Dryer are included a spacious laundry room with plenty of room for a freezer. This home is priced well, ready for occupancy. Don't miss out. Call for showing.